The 1.05m paddles are made from hoop pine and have a polyurethane clear coat finish. The handle has a yellow plastic end cap for grip and comfort. 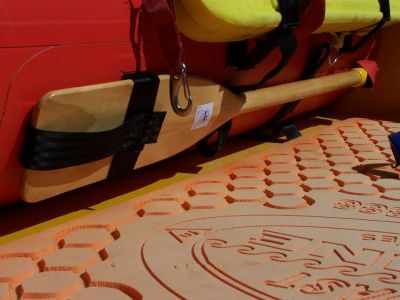 2 Paddles are a compulsory standard on SLSA approved IRB’s.